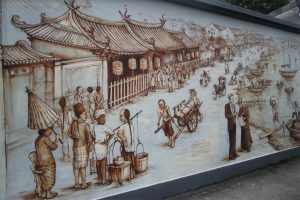 UNCOVER SINGAPORE’S HISTORY & CULTURE! Walk as the people in Singapore once did, taking in the sights, sounds and smells. We reveal the little details and untold stories of each significant location that has made their mark on our history since the beginning. Each route and landmark has been carefully selected to let you gain a deeper and integrated understanding of each place and people through time. Be mesmerised as we bring you from the hidden gems of Singapore tucked away in Changi to the traditional heritage of Chinatown and Little India to the poignant memorials and past battlefields of World War Two. How did Singapore transform from a small village to a modern city and what were the grievous mistakes made by the British in the defence of Singapore? How did we become a multi-racial and multi-religious society living in harmony together? Find out the answers to these questions and more as you enjoy the fullness of what Singapore has to offer as you stroll around the city’s streets and pathways, immersed with our vibrant colours and layered history. You will receive an extraordinary experience that is not only memorable, but educational, fun and exciting to boot. With us as your passionate guide, we’ll show you the past, present and even a glimpse into the future of Singapore. Temasek, a small insignificant island in the southernmost point of the Malaysia Peninsula, was a little seashore village making a living out of fishing and trading. This island was an important stopover point for seafarers en route from China to India and beyond. The first Chinese voyager set foot in South east Asia even before the birth of Christ and thereafter the Nanyang Silk Route was established. Although the history of Singapore goes back centuries, our known history was only from 700 years ago when the kingdom of Singapura was established. 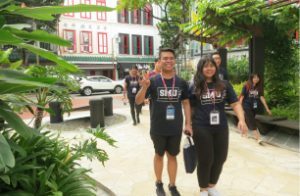 From the Kingdom of Singapura to modern day Singapore, this tour commemorates the history of Singapore and the significant milestones that have led to today. 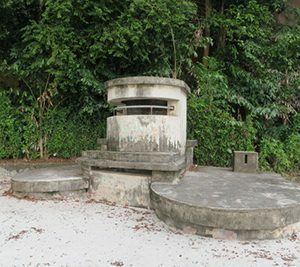 Walk through the Forbidden Hill, and immerse yourself with the 700 years history of Singapore. 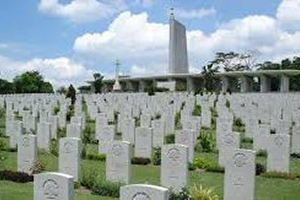 We will bring you through time from the establishment of Singapura to the first five kings of the 13th century, thereafter turning the page of history to the British colonial era in the 19th century, the years of suffering and conflict during World War II, and eventually to the independence of Singapore in the 20th century. Listen to age-old stories from our local guides who will help you navigate the murkiness and fog of history, and towards the end bring you to explore the oldest museum in Singapore – our National Museum. 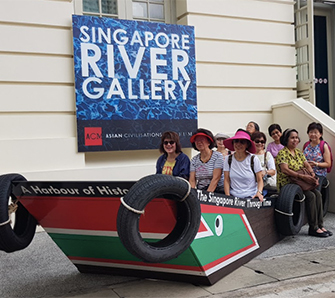 Designed for you to experience a poignant slice of our past and connect deeply with Singapore’s heritage, the Bicentennial Tour will bring you on an immersive journey through time and our history. 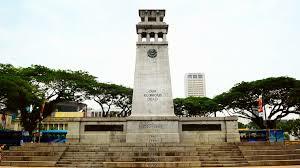 The Fort Canning park has been remade to show off the 700 years history, come and uncover the history of Singapore. On the banks of the Singapore river is a fishing village and stopover point for many seafarers. 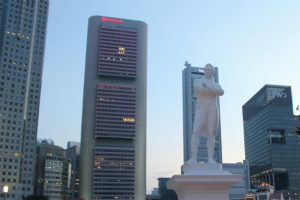 Singapura as it was known was unimportant to the Europeans, until the founder of Singapore Sir Stamford Raffles started a trading post for the British East India Company as well as a free trade port in 1819. 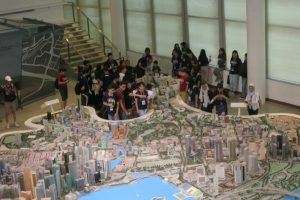 Singapore grew from its insignificant position as a fishing village to what it is today, a cosmopolitan city and one of the most efficient countries in the world. 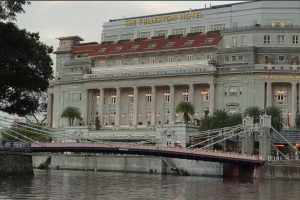 Take a walk down our past into the colonial era and explore Singapore’s civic district, the birthplace of our historical, architectural and cultural heritage. 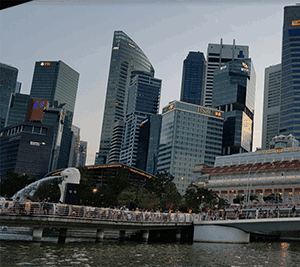 Amid buildings reminiscent of neo-classical style architecture, we will bring you from Esplanade Park to the Asian Civilisations Museum and Old Parliament House on a journey to explore the origins of modern Singapore. Stroll past the Singapore River along Boat Quay and Clarke Quay, heritage conservation areas that were once booming commercial centres back in our older seafaring days, and hear how they have transformed over the years. 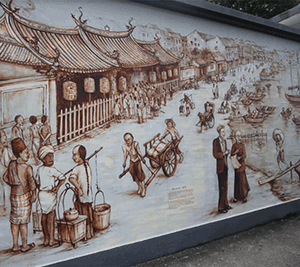 What was the transformation of Singapore as a fishing village into a modern city like? Soak in the history of the colonial era of Singapore and learn more about the arrival of the British, the establishment of Singapore as a colony at the southern tip of the Malay Peninsula, and finally our independence after the Second World war. 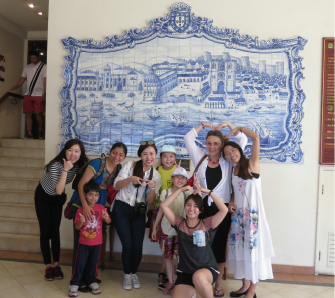 In our tour, we will bring you through time, and you can see the transformation of a sleepy fishing village into one of the best cities in the world. Singapore is a multi-racial and multi-religion nation, her people hail from far away places. The merchants were first to arrive bringing their ware to exchange for spices and other commodities of value. And in the 19thcentury, the British established a trading post and free trade port. Thereafter peasants from China and India came to Singapore in search of a better life. 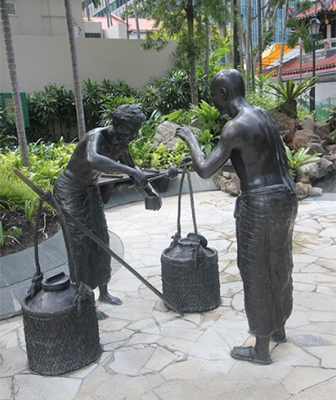 They built a livelihood for themselves and brought their families to Singapore establishing this beautiful country. 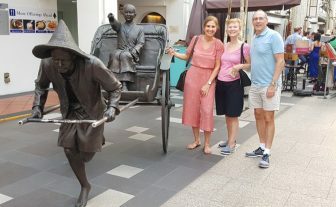 Appreciate the culture and heritage of the different races in Singapore as we visit the three ethnic quarters Chinatown, Little India and Kampong Glam as well as the British Administration centre in Empress place. We will explore places of cultural and religious significance. Hear anecdotes and stories that have been passed down for generations interweaved with our personal experiences growing up in Singapore. 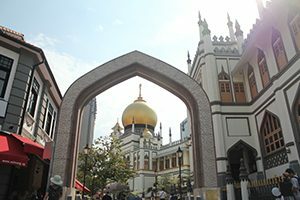 Each ethnic quarter is unique in its own special way – from the aromatic spices of Little India, to the herbal teas of Chinatown and traditional handicrafts of Malay heritage, as well as visit British colonial buildings. 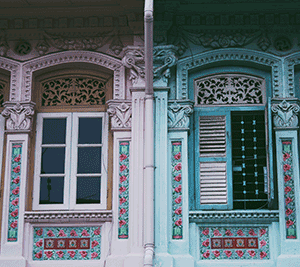 We will also bring you to the Peranakan Museum, the first of its kind in the world, that explores the integration of the races together and how things came to be. How did Singapore manage to become a country where so many different cultures and religions live in harmony? We will drive you around the city and you will see more then promised. Join this tour and we will show you the facets that lie behind the unity in our diversity. On 15 February 1942, the impregnable fortress of the East fell. The biggest lost for the British Empire during the second world war. What went wrong, how did the British lose the Pearl of the Orient in 7 days. Come join our World War 2 tour and discover more. We turn back the clock and step into one of the darkest periods of Singapore history during the Second World War where many struggled for freedom and survival. Learn about the trials and tribulations faced by countless people and listen to recollections about bravery, courage and the human spirit triumphing over the odds. We bring you to the battle scenes of 1942 and trace the past at the most significant moments during the invasion of Singapore from our last stand against the Japanese to the surrender of the British at the old Ford Factory to the long and dark days of the occupation. What were the fatal mistakes the British made? Was Singapore doomed to fall to the Japanese? For those seeking a deeper understanding of Singapore, let us bring you beyond our modern facade and guide you through the battle scars of our history. In our little country, we have provided a green area we call our nature reserve. We have 4 reservoirs in this area and the forest acts as a catchment area, We have allowed the floral and fauna to flourish and have turned this forest into a nature park with walk ways to protect both you and the forest. 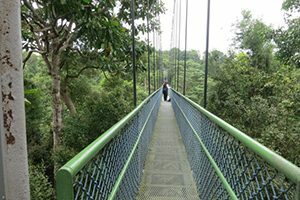 We have also built a suspension bridge built at tree top level for you to enjoy the tree from a different perspective. 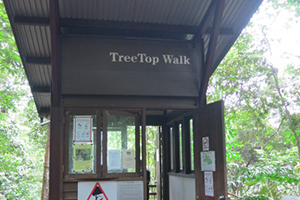 Join us for a 7 km walk across the nature reserve, and enjoy a panoramic view at the tree top walk. 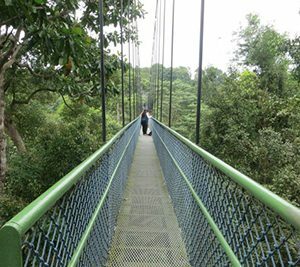 For nature lovers and tropical adventurers, the TreeTop Walk suspended between the two highest points in MacRitchie offers you a breathtaking bird’s eye view of the forest canopy like no other. Trek through our Nature Reserve to spot the native creatives of the forest like the Clouded Monitor Lizard and catch a glimpse of native birds like the Olive-backed Sunbird. Sometime, snakes may slither across your path, but certainly you will get to say hi to the monkeys. Get a pleasant reprieve from the hectic pace and busyness of city life as you discover and explore the tropical flora and fauna of Singapore. 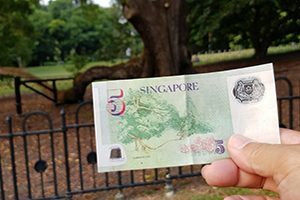 Have you noticed some of the common plants and animals as you travelled around Singapore and ever wondered why they are so ubiquitous? Find out more as you put on your running shoes for this 7km walk and become attuned to nature through our guided TreeTop Walk that will bring you right to the heart of the tropical rainforest. 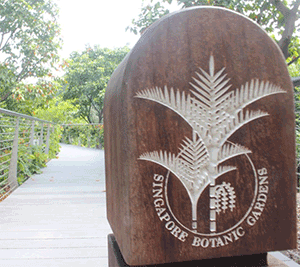 The only UNESCO heritage site in Singapore, the Singapore Botanic Gardens was set up to research planting methods. One of the directors of Mad Ripley championed the planting of Rubber trees, making Malaysia one of the largest rubber producers in the world. The Botanic Gardens, although retaining its old charms, have many new additions including a learning garden, a rain forest and the famous National Orchid garden. Come join us to discover the Botanic Gardens. Enjoy a leisurely stroll through the National Orchid Garden and lush lawns of Palm Valley as we share about its beginnings in 1859 and how it has helped define Singapore as the tropical Garden City over the years. With over 300 plant species calling it home, explore the last remnant of the rainforest that used to cover the entire island and hear stories about its past. We will bring you through the secret parts of the Gardens that are seldom seen. What makes the Singapore Botanic Gardens a UNESCO Heritage Site? 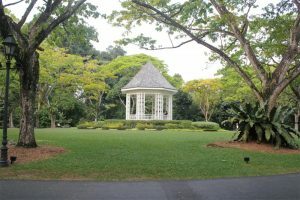 Join us on this comprehensive tour of the Singapore Botanic Gardens as we bring you on a walking trail through the famous National Orchid Gardens, the rain forest and a pond with swans specially gifted to us from Australia. We have curated many tours to show you Singapore, however if there are other areas of interest we can arrange a private tour. During this tour we will make arrangements that would meet your interest. Looking for a tour in Singapore that isn’t specified here? 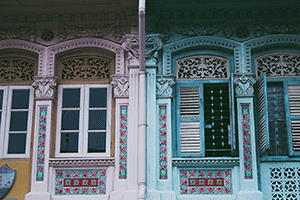 Or perhaps are you eager to dive deeper into a particular aspect of Singapore? We offer customised private tours for the curious adventurer and his companions, whether it is a food and walking tour, a historical tour, a cycling tour or other. 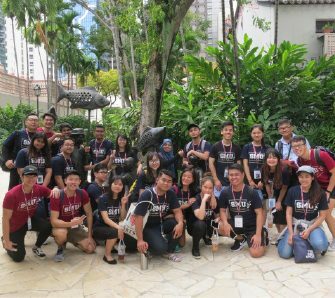 Our guides are local homegrown experts born and bred and we will relate the Singapore Story to you in a deep and meaningful yet fun way. Stay close to the true heart and spirit of Singapore as you learn about the intricacies of our history, admire the heritage of diverse ethnicities, and savour gastronomic delights from multiple cuisines sure to tingle your senses. Can’t wait to escape the constraints of a fixed tour and discover the best that Singapore has to offer to you? 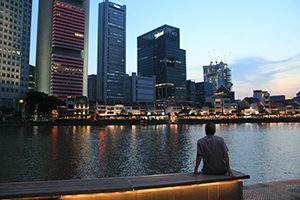 Join us on a special YAFI tour and let us expand your horizons in Singapore.